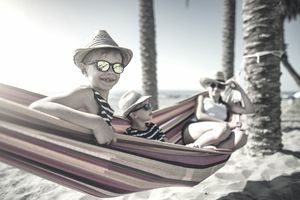 Family vacation sweepstakes are a fun way to get the chance to take your family on an unforgettable trip without breaking your budget. Bookmark this page and return daily to find the latest current giveaways with prizes like trips for more than two people, family reunions, and destinations that kids will love. Remember that there are some costs to winning a trip including vacation taxes and expenses like paying for meals and transportation while you are away. It's a good idea to be picky and only enter to win prizes that you'd really love to receive. If you'd like to try to win other types of vacation sweepstakes, check out these lists of Disney Sweepstakes, Free Trips to International Destinations, and Domestic Vacation Sweepstakes to get started. Good luck! Enter for your chance to win a fun getaway to the Universal Orlando theme park in Florida, a prize worth about $3,700. Here's your chance to win a six-night getaway for four people to Hawaii.